Visit the charming coastal town of Honfleur with a guide and immerse into the atmosphere on the pretty harbor. Explore sites made famous by painters such as Claude Monet, and top attractions including the Old Port and Sainte Catherine Square. Enjoy fine and typical local products like cheeses in the Pays d'Auge. Meet up your guide at your Paris hotel in the morning, and take a seat on board, enjoying a comfortable air-conditioned minibus(free WiFi and educational tablets available in the minibus).Then head off to the coastal town of Honfleur, mainly recognized to be among Normandy’s prettiest port towns. 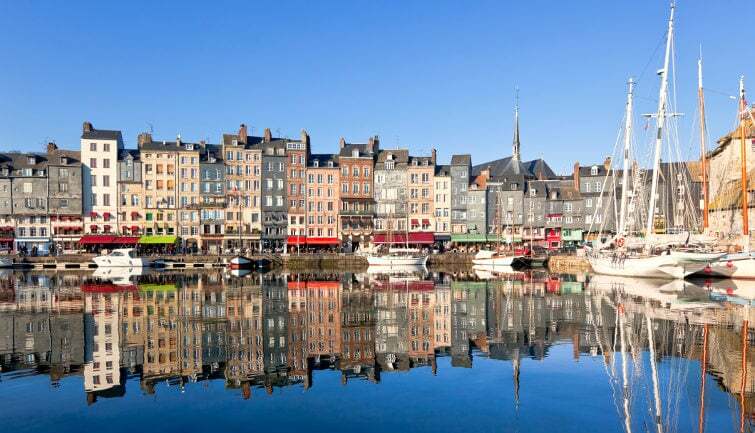 Arrival in Honfleur, explore the narrow cobbled streets, made famous by Impressionist painters such as Eugène Boudin.Then take in top sites of interest including the bell tower, the Old Port and pretty Sainte Catherine Square. Discover quaint villages like Pont l'Evêque and Beaumont-en-Auge on route through the beautiful Pays d'Auge, besides enjoy sweeping views over the Normandy countryside. Delight your taste buds with delicate local products during a cheese-tasting, then return to your hotel in Paris to conclude your tour.